Over the next several posts, I’d like to offer insights on Jewish theology – especially for Christians. Why? For two primary reasons: 1) I have many, many Christian friends who I dialog with theologically and philosophically; 2) I believe that most Christians would benefit from engaging, and even applying, some of the ideas, approaches, methodologies, and themes of Jewish theology into their own Christian contexts and self understanding. I believe that Jewish approaches to theology have much to offer Christians. Besides, the conversation is hopefully interesting to Jews, too. In this first post, I’d like to explore the oddness of Jewish theology and how authority in Jewish theology operates and doesn’t operate. I won’t pretend to be able to do Jewish theology justice in just a few blog posts. A few thousand years of wisdom isn’t easy to summarize or treat lightly. Besides, Jewish theology covers all of life – how to treat animals, when to harvest trees, how to love your neighbor, what not to eat, how to wage war, how to value peace, the relationship between spouses, the nature of God, the meaning of redemption, and so on. “Doing theology” doesn’t garner the same attention and interest in most Jewish circles as it does in Christianity. One reason for this is that Jews don’t have a religious culture that revolves around theological discussion (Discussion? Yes, Formal theological discussion? No.) Another reason is that Judaism understands itself as a “peoplehood” connected through history, practice, and values, whereas Christianity, while certainly community oriented, is rooted more in ideas about the world, God, and Jesus, rather than an ethnic-cultural identity. You’re a Christian based on what you believe. You’re a Jew according to other criteria. Additionally, Jewish theology is diverse – not all Jews would agree with my interpretations or the views of other Jewish thinkers for that matter. Further, no Jew can definitively speak for another Jew in terms of theology. Each Jewish branch, each community – approaches matters with nuance, difference, and a particular style. 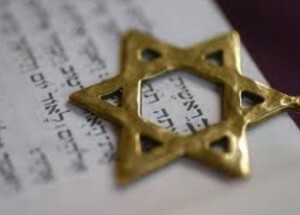 My vantagepoint is Reform Judaism – and therefore, my theology will be appropriately colored by the Reform tradition – although my insights apply beyond the Reform context. There is no central Jewish authority – no rabbi, text, book, or committee that conveys a binding Jewish orthodoxy. Judaism, likewise, is not creedal – there isn’t a list of beliefs one must subscribe to in order to be Jewish or to be acceptable in most Jewish communities. Granted, some Orthodox Jewish communities will insist that there is a set of “required” Jewish dogma along with a group of orthodox rabbis who may authoritatively pronounce on them. But these groups are small within Judaism, and the bulk of Jewish theology and sources – especially the Talmud – thousands of pages of rabbinic commentary – seem to demonstrate otherwise. The Talmud rarely sees the rabbis agree and the nature of the conversations are open ended. Like Catholicism, Judaism has sacred writings (Torah) and tradition (Talmud, teaching, scholarship, practices, rituals, liturgy). Like Catholicism, Judaism has a long history of rich and beautiful observances. Like Catholicism, many Jews have a “sacramental” view of their religious rituals and practices. And like Catholicism, halakhah is somewhat ( this is a little bit of a stretch) akin to Canon Law. Yet unlike Catholicism, there is no Jewish magisterium and no Jewish pope. Then how is unity realized? How is Jewish tradition and meaning preserved? I think the best answer is to realize that Judaism is an ongoing, few thousand years old, conversation. To be part of that conversation is a voluntary undertaking – and to engage it is to accept the parameters and topics of that conversation, traditionally outlined under the three broad headings of God, Torah, and Israel. Which for Catholics and other Christians might be God/Jesus, Scripture, and Church. Underneath those broad headings, discussions about revelation, the nature of God, morality, liturgy, ritual, blessings, scripture scholarship, observance – and a whole host of other issues – takes place. Like Anglicanism and Christian Eastern Orthodoxy, consensus plays a large role in establishing theological parameters and context. While no single authoritative religious institution makes decisions for all forms of Judaism, a consensus develops among communities, rabbis, scholars, and, over time, enough people join the common cause so that a given position becomes commonplace – although, not binding. There isn’t a theological litmus test. One’s theological opinions and offerings may be rejected by other Jews; they will almost certainly be argued with by other Jews – argument and engagement is perhaps the foundational method for Jewish theology. Another common response, “isn’t your rabbi in charge? Don’t the rabbis decide these things?” Again, the answer is, “No. Rabbis are trained to teach and interpret, and various groups of rabbis will offer commentary and opinion, but again, in most forms of Judaism, these opinion, or “responsa” are not binding.” (Also, Christians are often surprised to learn that strictly speaking, a rabbi isn’t necessary for a Jewish wedding, liturgy, blessings, or even conversions.) Rabbis can and should guide the community in theological matters and questions of observance, but they’re not granted or imbued with any special religious authority. Some Orthodox communities do give their rabbi’s binding authority, but that’s particular to their specific community. How does Jewish theology not descend into chaos then, wonder many not accustomed to a lack of central authority? Part of the answer is the Jewish focus on orthopraxy rather than orthodoxy. Granted, this distinction is somewhat artificial, but it does convey a reality. Jews tend to be more or less united in their practice – lighting Shabbat candles and observing the Sabbath. Celebrating the (many) Jewish holidays. Engaging Torah (and Talmud, and Jewish authors and thinkers.) And practicing well established Jewish values such as hospitality, love of neighbor, care for the needy, and seeking to end oppression of all kinds. Another part of the answer is how many synagogues function. The word “synagogue” comes from Greek and implies “one view” or a unity of perspective or community. The synagogue is more than the meeting place for worship – it’s, in theory, the center for the Jewish community. It’s activities, discussions, socializing, and worship – all which help create a common life – would help promote unity within the community despite diversity of beliefs. Finally, as mentioned above, Jewish theology has fairly distinct parameters – Torah, halakhah, holidays, a distinct history, the notion of God, Israel, traditions, texts, and so on. Various Jewish thinkers and sages have offered various ideas and meanings within these parameters, but they’ve stayed within the “lines” so to speak. Someone who tries to take the conversation too far off topic would likely be pulled back in or eventually ignored. And Jewish theological reasoning relies heavily on Jewish sources – sui generis arguments rarely find traction. There are Christian communities that operate in similar style. One thinks of various Baptist groups, Congregationalists, and even, to some degree, the Episcopal Church. But even within these denominations, the parameters of orthodoxy would be somewhat tighter than that found in Judaism. In our next posts, I hope to discuss some of these parameters and offer Jewish insights concerning their role and meaning. As always, I enjoy engaging with you – feel free to comment. I’d especially enjoy hearing from Christian reads on these topics. And don’t feel you need to agree with me to engage. As long as the comment is on topic and respectful, I’ll do my best to respond to you. Segun tomado de, http://www.patheos.com/blogs/opentablejudaism/2017/02/18/jewish-theology-primer-especially-christians-part/?utm_source=[! ]%20Newsletter&utm_medium=email&utm_campaign=NL%20Best%20of%20Patheos%20&utm_content=11906 el miércoles, 22 de febrero de 2017.